Your technology is evolving...so should your IT support services. Cyber threats often overwhelm—and sometimes cripple—organizations who burden the risk of doing all their IT work in-house. Fortunately, though, as technology threats have evolved, so have IT solutions. Take a moment to read the following statements… Do any of them sound familiar when it comes to your IT situation? As technology rapidly changes, the pressure builds for existing in-house IT staff to keep up. 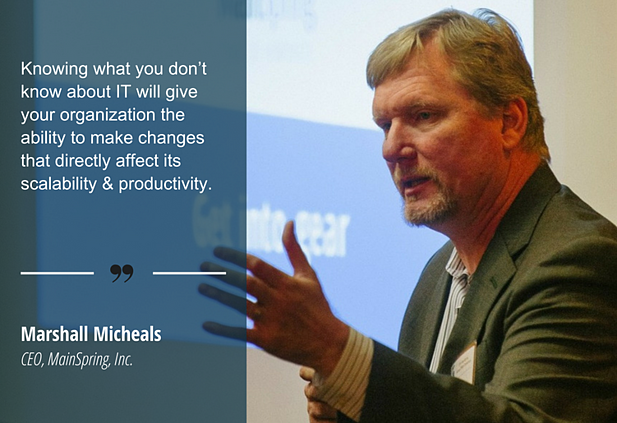 Unfortunately, building or restructuring an IT department to both serve an organization and take proactive measures for the future is an expensive and nearly impossible task for many small-to-mid-size organizations. Often, this level of service requires third-party support, or outsourced IT services. If you’re unsure about your current IT support model, now’s the time to ask questions. Sign up for a free consultation with our IT experts so you can “know what you don’t know” about IT.